High in the rocky mountains of Alberta, the Banff Springs golf course is a Stanley Thompson design that lies in a valley beneath both the majestic Fairmont ‘Castle in the Clouds’ hotel and the magnificent Banff mountain range. 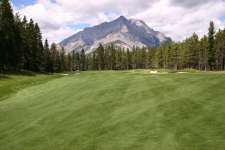 Having successfully built the Jasper Park golf course for a Canadian rail company, Thompson was approached by a rival company to completely overhaul their existing course at Banff, which dated back to 1911 and had been tweaked by Donald Ross in the years prior. 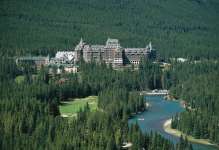 Recognizing the potential in the glorious alpine scenery, the designer blasted parts of the surrounding mountain range, cleared land alongside the glacial Bow River, routed holes toward distant peaks and shifted the course back toward the stunning hotel site to create a smorgasbord for the senses. 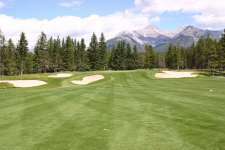 In the process he spent more money, about $1 million, on the construction of Banff Springs than had ever been spent on any golf course previously and, when completed, had successfully put Banff on the map as a world-class golf destination. Unfortunately in the decades subsequent to its opening the golf course has changed considerably, mostly during the 1980’s when a new clubhouse was built to capitalize on increased visitor play. Its location and the hotel’s desire to add an additional nine holes, forced the configuration of Thompson’s holes to be altered. The first fairway and green, formally the 5th, were also borrowed for the new nine leaving a fairly bland opening hole complete with some unsightly mounding which Thompson certainly would not have approved of. His original opener, now the 15th, heads straight over Spray River from an elevated tee overlooking the mountains and was a terrific starting hole. 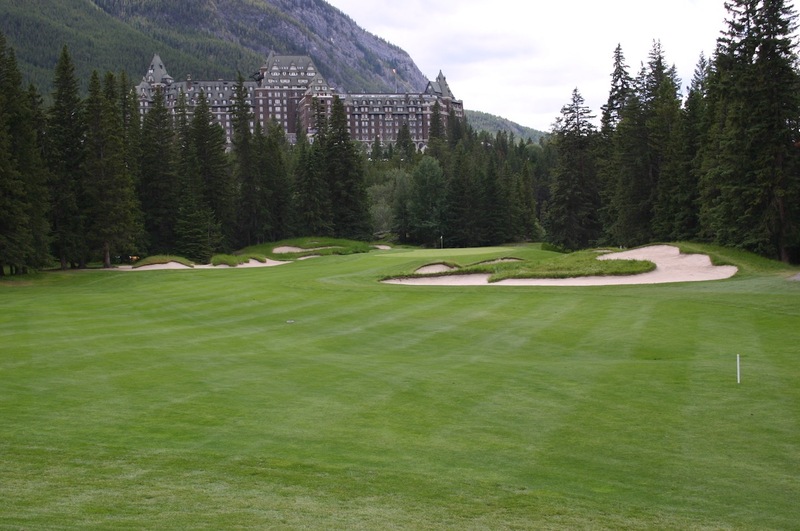 The strength of Banff Springs is the par threes and the series of tough par fours through the early part of the inward nine, the holes Thompson had actually designed to form the closing stretch. The Devil’s Cauldron (4th) is the most celebrated of all Banff’s holes, it plummets some 70 feet over a small glacial pond to a bowl-shaped green that was built from the imposing mountain backdrop and leans slightly back toward the water. 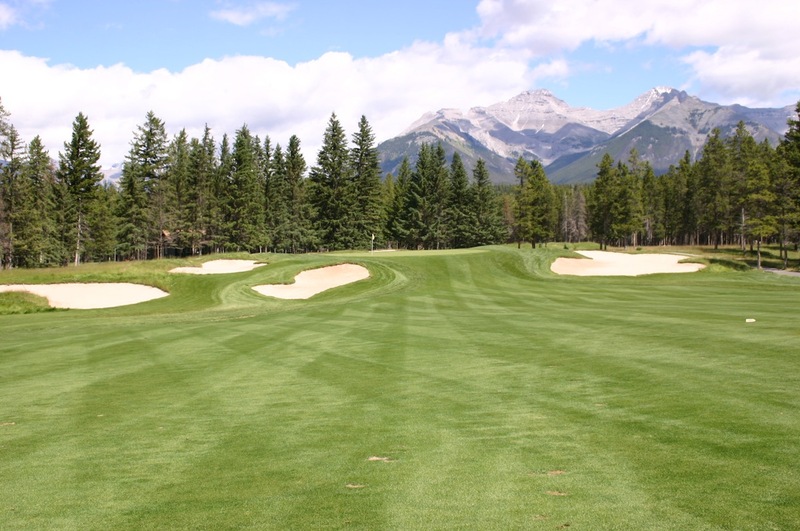 This gorgeous par three is a genuine classic though tee shots into the valley 2nd and the long one-shot 10th, played across a bend in Bow River, are just as exciting to play. The open fronted 13th is also a nice par three with a green that becomes progressively harder to hit the further back the pin is pushed and the more ambitious one becomes. Of the longer holes the left-bending 5th and wide open 6th into a small plateau green, are both solid but the real standouts are the riverside 12th and the boldly bunkered 14th, which was designed as the 18th and fittingly finishes in the shadows of the grand hotel. 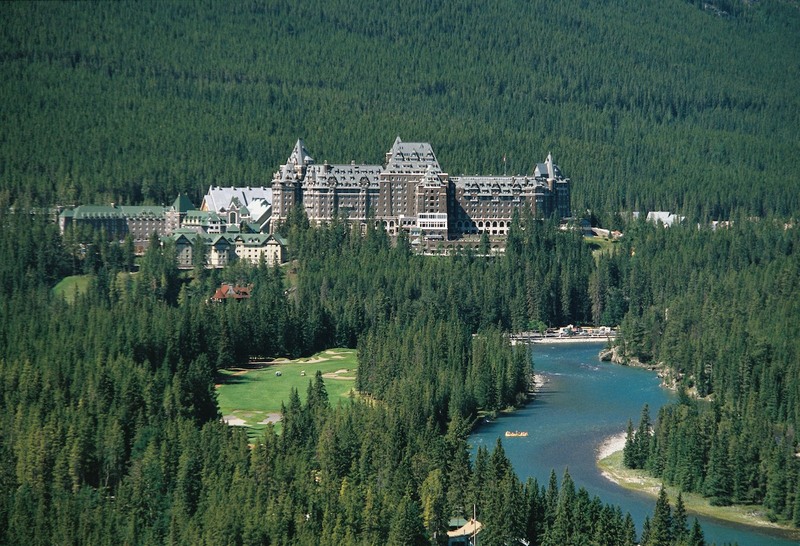 Despite the present layout differing considerably from Thompson’s original vision, there is still plenty to recommend at Banff Springs. The flow of the course has been undoubtedly hurt by the configuration change but thankfully good golf holes remain good golf holes regardless of when they appear in a round and there are certainly more than enough here to make the trip worthwhile.